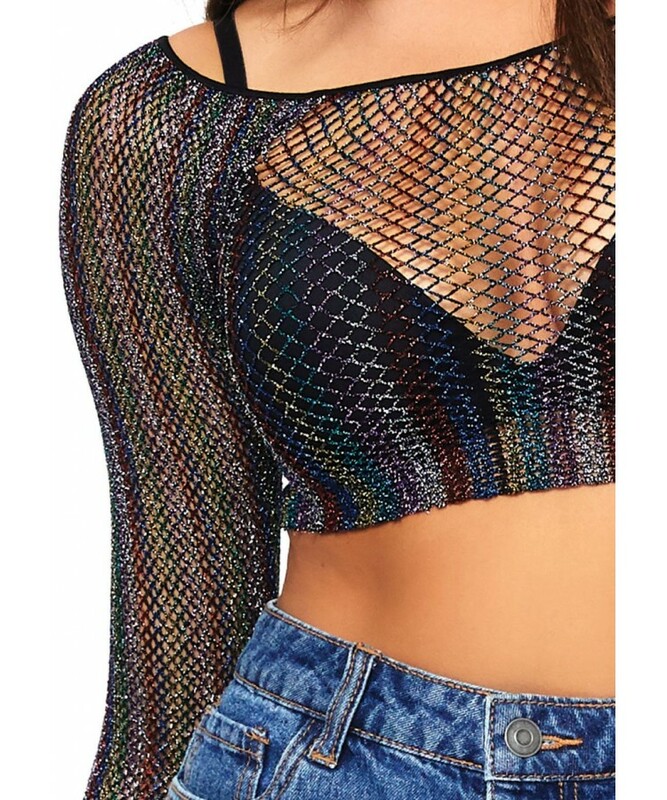 Glittery mesh crop top has long sleeves and is perfect for raves, festivals or just plain fun! Stretch black mesh is woven with glittery rainbow color lurex strands for extra sparkle - looks great under lights on the dance floor! Long sleeves have finger loops and the scoop neck is flattering for everyone. Sheer, one size fits most top. Bra and other items shown sold separately. Item Number: LA-81568 | Approximate Size (Inches): 8.00 wide x 0.20 deep x 10.00 high | Approximate Shipping Weight: 0.50 lbs.